The Archeology Youth Corps, Chimborazo Visitor Center at Richmond National Battlefield Park, Richmond, VA. Most people are familiar with archeology as a field that explores ancient civilizations by uncovering artifacts. However, archeology has applications in modern urban locations as well. Cities change quickly, and in the process, the lives and stories of residents—and even whole neighborhoods and rivers—can be buried or substantially altered. Archeology can uncover the stories that never made it to the history books, and can also help communities to discover and tell their own stories and histories. 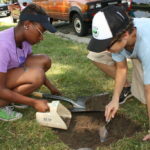 The National Park Service (NPS) Urban Archeology Program and Archeology Youth Corps help youth to discover and explore these important connections, relate them to current events in their communities, and understand the environmental implications. Since its pilot program with Groundwork Anacostia NPS has expanded its reach to four more locations. 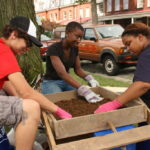 These urban archeology projects engage area youth ages 16-25 to promote community engagement, foster environmental stewardship, and inspire participants to pursue careers in archeology or with the NPS. The three main goals of the program are to encourage students to learn by doing; foster students’ understanding and investment in their community and the environment; and directly improve the historical sites where the students work. Students are required to learn and practice research methodologies, engage in outdoor service work and site visits, interact with experts, and to engage in some form of public outreach by generating interpretive materials, including visual media and public presentations. All projects are located at archaeological sites that are preserved and studied by the NPS. 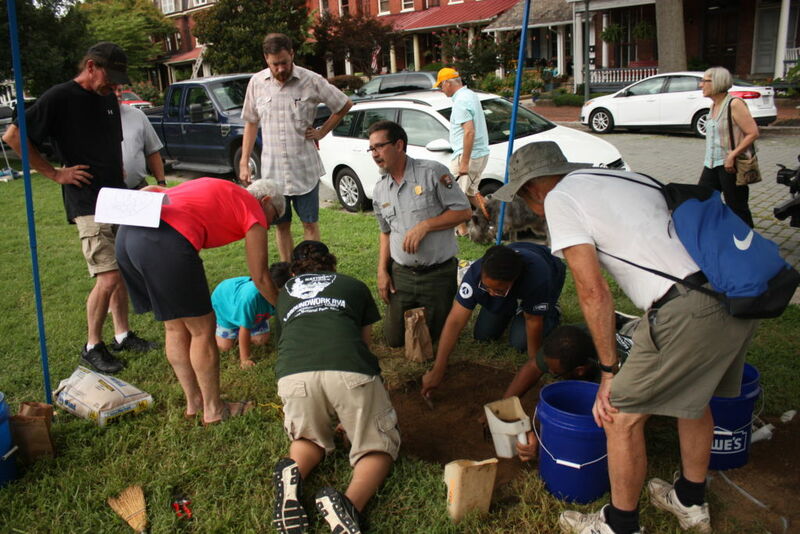 The pilot program of the NPS Archeology Youth Corps emerged in 2012 in collaboration with Groundwork Anacostia River DC (GWARDC). 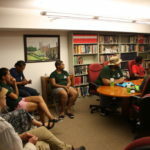 GWARDC serves students from underserved neighborhoods east of the Anacostia River in Washington, DC, and seeks to connect urban youth to their natural environment while also promoting stewardship, science education, and community engagement and investment. NPS recruited ten participants ranging from age 15 to 26 from GWARDC’s various Green Teams to work 40 hours per week for 10 weeks at Fort Mahan, a Civil War historical site. Working with a NPS Cultural Resources Manager, the students conducted archival research, oral histories with community members, and site visits. They also created short digital films, which were shown as part of the NPS Centennial “Find Your Park” campaign. 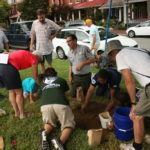 The program continues each year at various NPS historical sites within the region, usually involving about five students over eight summer weeks, and includes excavations, identification and documentation of found artifacts, and community engagement through interpretive presentations and visual media projects. Richmond’s Archeology Youth Corps debuted in April 2015 with eight high school students from Groundwork Richmond’s Green Team. In addition to exposing youth participants to careers in NPS, the program aims to enrich understanding of local history by exploring untold stories, with a particular focus on communities of color. Working 40 hours per week for eight summer weeks, the Youth Corps participated in an archaeological survey of Gravel Hill, one of the earliest historic communities of free African Americans dating back to the late 1700s. 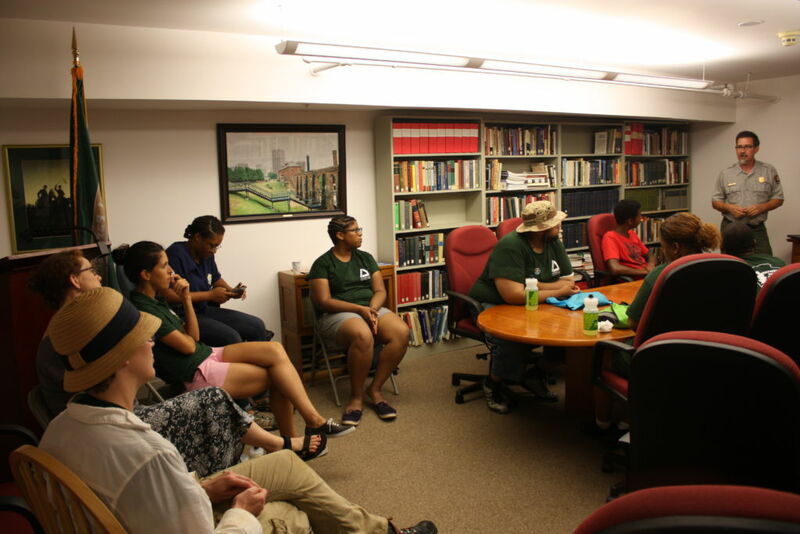 Youth participants learned a variety of methodologies, including oral histories, hands-on excavation, and archival research at the Library of Virginia and the Maggie L. Walker National Historic Site. They also traced the history of activist and civil rights pioneer Maggie L. Walker, producing a map of “Maggie Walker’s Richmond.” At the end of the summer, they compiled results into an exhibit and shared printed materials at the Gravel Hill Community Center. 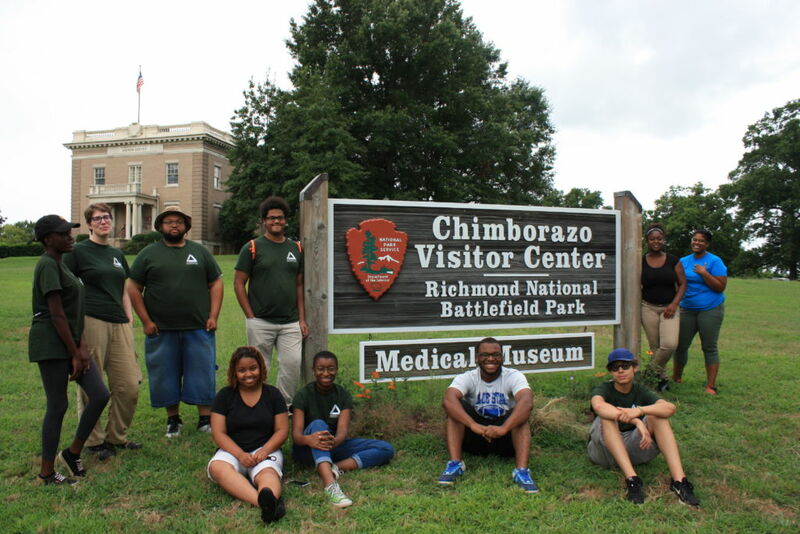 In 2016, students worked on a site called Chimborazo at Richmond National Battlefield Park, known for a famous Confederate Hospital. After the Civil War, it became a refugee camp for freed slaves. The youth carried out excavations, cataloguing artifacts and presenting results on August 19, 2016 at the Richmond National Battlefield Park. 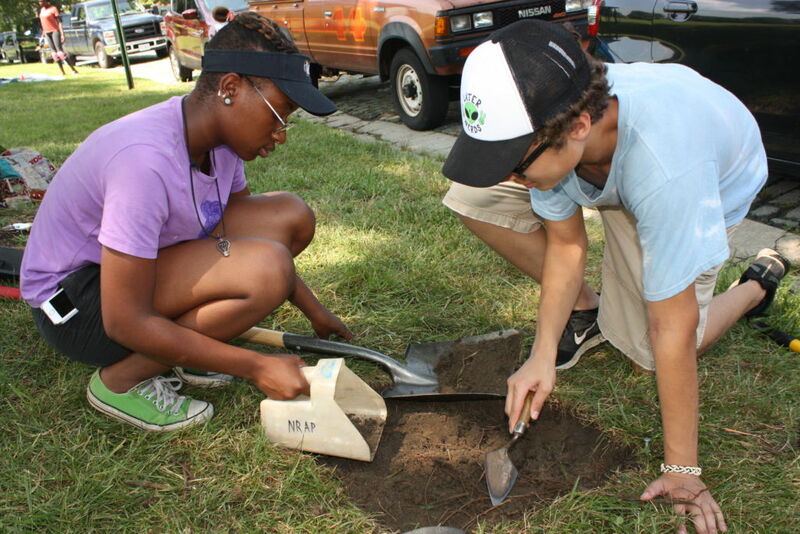 The Archeology Youth Corps, Richmond, VA.
NPS partnered with the Southeast Conservation Corps (SECC), involving six students recruited from Chattanooga schools, other SECC teams, and the NPS Youth Conservation Corps (YCC) to work 40 hours per week for 6 weeks. The program connected the students directly with their local environment through issues related to urban waters, while exposing them to environmental careers. Service learning projects included students working to build two new bridges and clear overgrown vegetation from the Blue Blazes Trail, which runs through archaeologically important sites at Moccasin Bend and Sherman Reservation. This area is part of the NPS Chickamauga-Chattanooga National Military Park commemorating The Battle of Missionary Ridge, where the Union Army overwhelmed Confederate forces in 1863. The Blue Blazes Trail is the entrance to the Sherman Reservation, the largest reservation at fifty acres and a site where some of the heaviest fighting occurred. In 2000, the NPS unit Santa Monica National Recreation Area (NRA) in Santa Monica, CA, began a program called the SAMO Youth Program. The program introduced ethnically diverse urban youth (including high school and college students) to environmental careers and promoted stewardship and science education. Students were involved in a variety of projects within the park’s extensive 150,000 acres—from trail management to public engagement—and the program has produced over 150 graduates, some of whom have pursued careers with NPS. In 2015, the NPS partnered with the Mountains Recreation and Conservation Authority (MRCA) and formed an Urban Archeology Youth Corps, recruiting eight SAMO high school and college students who hailed from several urban neighborhoods including Highland Park, Compton, Echo Park, South Los Angeles, Pasadena, and Altadena. Working 32 hours per week for 6 weeks, the group assisted the NRA’s Cultural Resources Program Manager with an archeological survey of a Chumash site in the Santa Monica mountains. At the Satwiwa Native American Culture Center, students gained exposure to ethnobotany, learning about native plants and how Chumash used them for medicine and cooking. They also learned about Chumash tools, rock ovens, dwellings, and how the Chumash dealt with their environment. Though 87% of participants had never participated before in outdoor recreation, over 90% have reported that they are considering NPS careers. Students used a range of approaches to investigate the history of urban redevelopment in Lawrence, with the aim of envisioning better development strategies that more effectively involve and benefit existing communities. In the process, they uncovered little known history that challenged the dominant narratives about the city and empowered residents to understand their neighborhoods from new perspectives. The students then used a variety of methods to educate the community about what they learned, including posters, a scrapbook, a poem, an interpretive dance piece, and a visual timeline. While the program is still very new in two of the target communities, it is clear that it is reaching many students who have very limited access to outdoor recreation and science as well as the role our urban waters have had in early communities. In 2016, the program involved a total of 57 youth across all four locations, predominantly from underserved neighborhoods . Studies in Santa Monica, CA, show that exposure to such programs has a major impact on urban youth, potentially inspiring as many as 90% of participants to pursue related careers. Direct impacts on participants can also be found in the words of the youth themselves in the NPS archive of interpretive videos, located on a YouTube Channel at https://www.youtube.com/user/npsNACE/videos. The NPS hopes to build on the current model, expanding to more locations and incorporating more citizen science projects. Since 1916, the National Park Service has been entrusted with the care of our national parks. With the help of volunteers and partners, we safeguard these special places and share their stories with more than 275 million visitors every year. But our work doesn’t stop there. 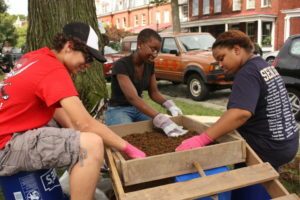 The Urban Archeology Corps is a national program where young people age 15-26 conduct a range of archeological tasks to learn about urban national parks and their surrounding communities, the diverse histories and resources that make these places special, and public service and NPS employment.